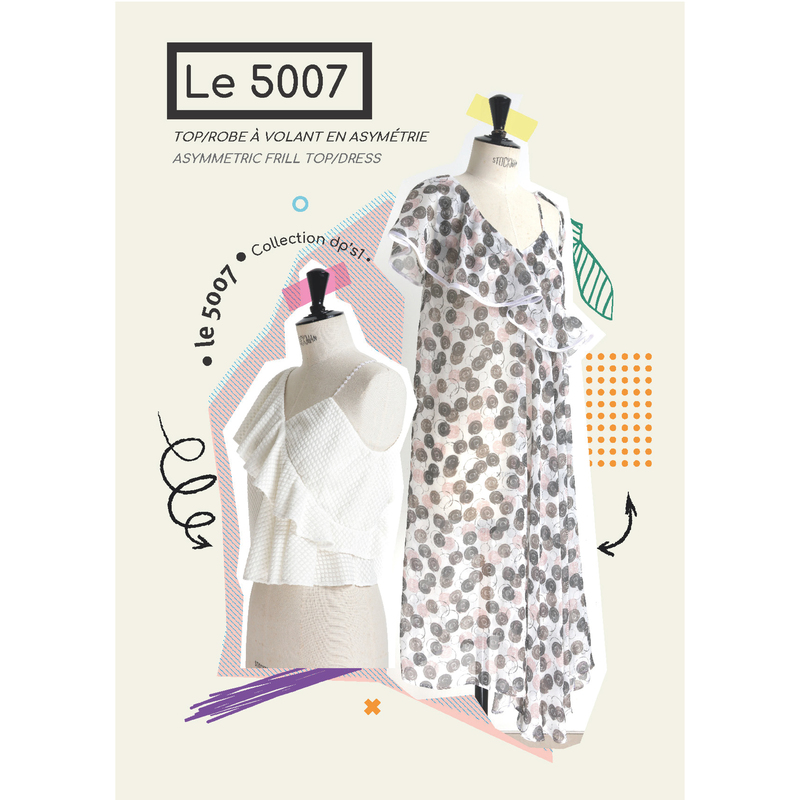 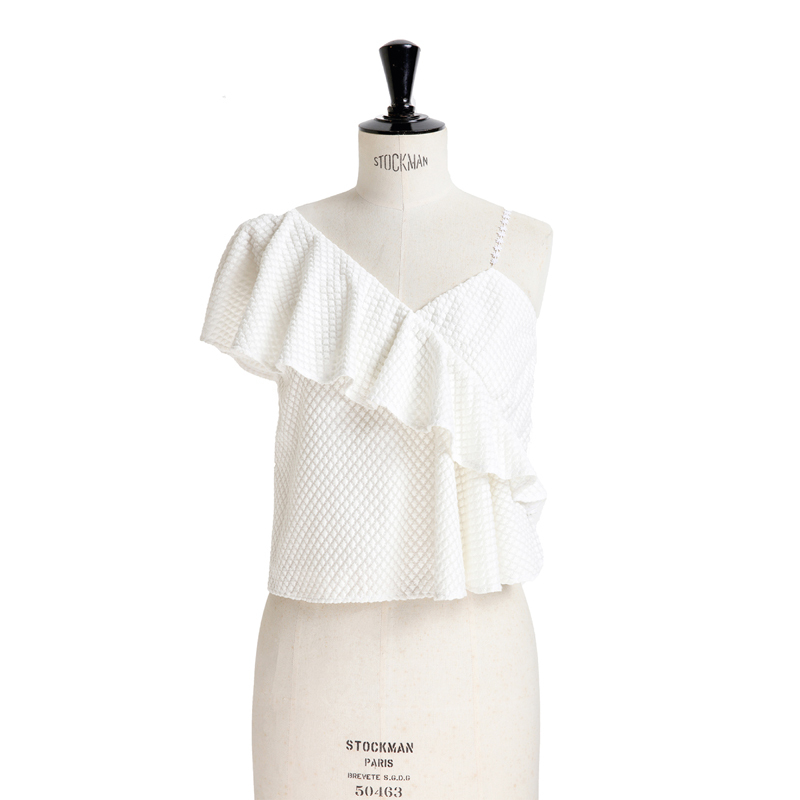 The 5007 top/dress is ideal for sunny days with its asymmetric frill. The play on lines and volume is so attractive and yet the model is simple to make. 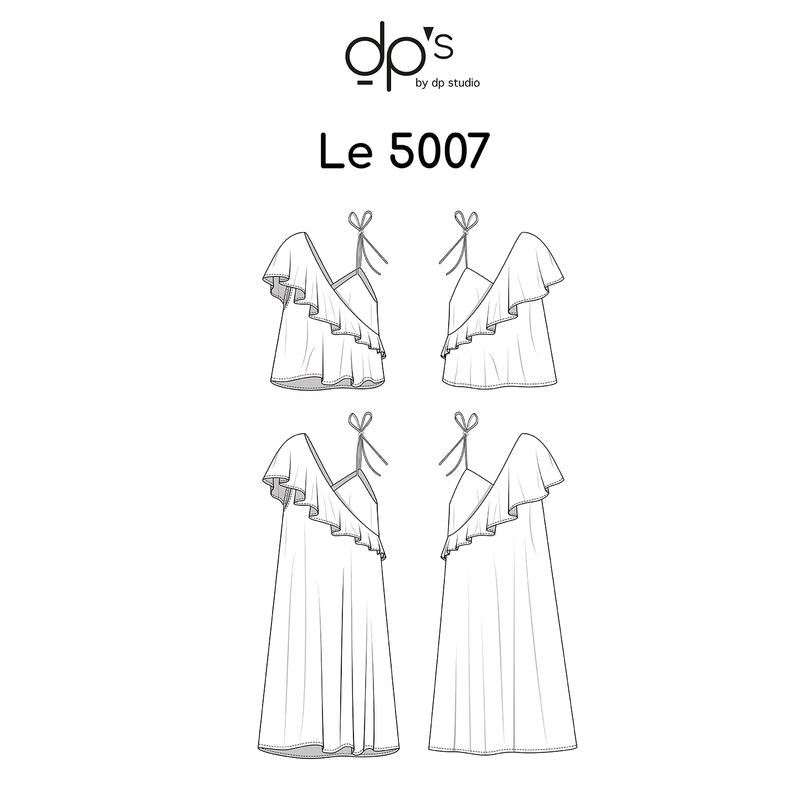 The 5007 top/dress is ideal for sunny days with its asymmetric frill. 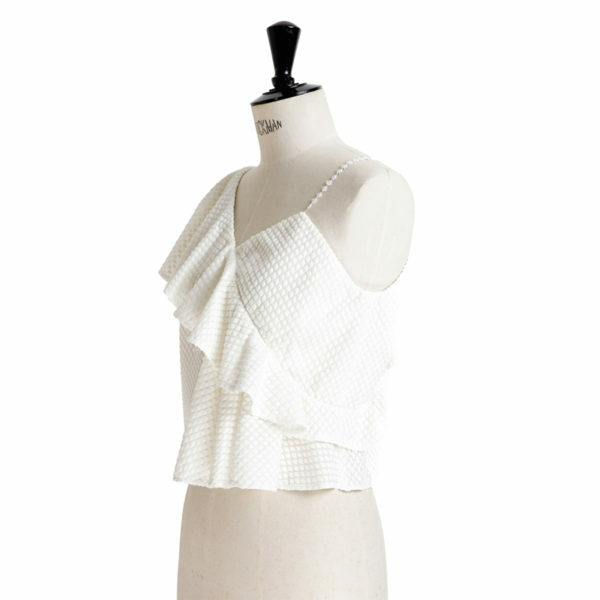 The play on lines and volume is so attractive and yet the model is simple to make. 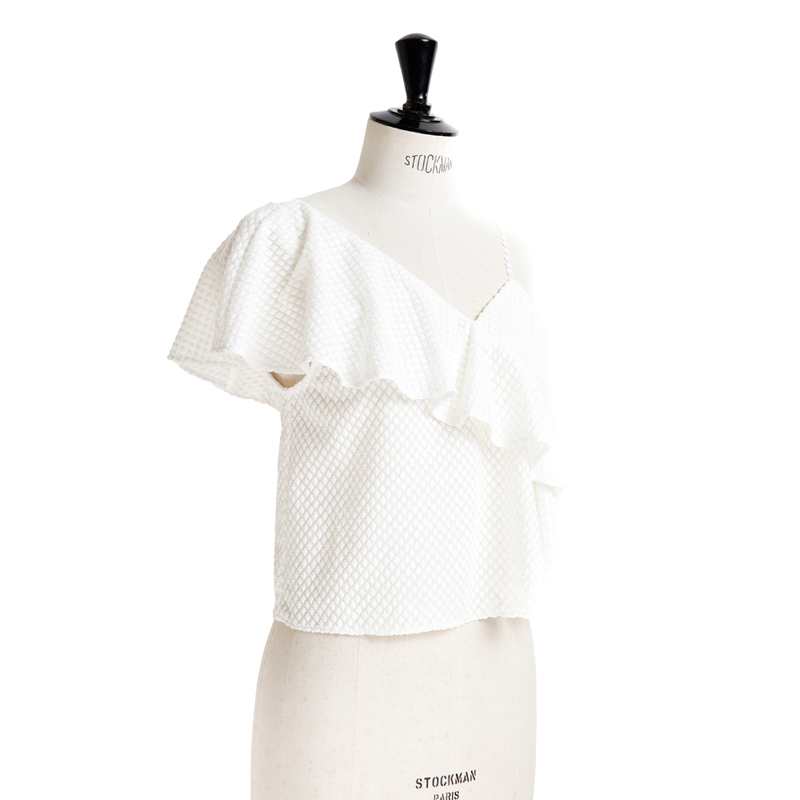 The yoke composed of generous frills will really set off your neckline and in contrast the fine strap reinforces the asymmetry of the piece. As for suitable fabrics, fluid ones such as cotton voile and viscose are the most obvious but fabrics that bring more structure are also possible (an embroidered cotton, for example). 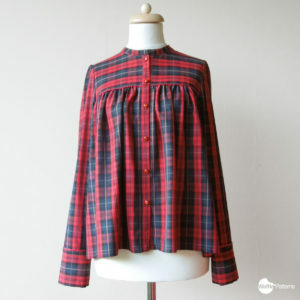 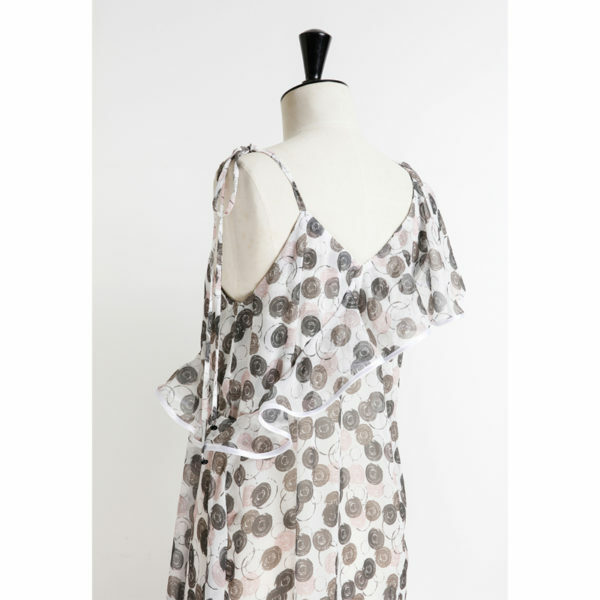 Easy to wear with its sober lines and feminine allure, this top/dress is utterly ravishing.